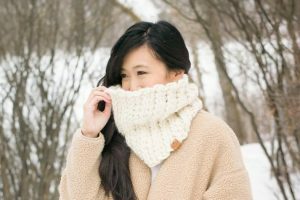 One of the greatest parts about having a crochet blog and joining the amigurumi community has been being able to connect with fellow amigurumi and crochet artists around the world! This week I am featuring an artist named Dennis of “Dendennis” from the Netherlands! You may be familiar with his work as I’ve referenced some of his projects before (e.g. his Christmas busts) and I’ve helped promote some of his fun events such as “Bring Your Amigurumi to Work Friday” and “Amiselfie”. Dennis has a very unique style and perspective as evidenced by his fun and imaginative amigurumi! I’ve always wanted to feature Dennis to hear more about his story and what it’s like being a male in the predominantly female crochet/amigurumi scene. He has done so much to bring the amigurumi community together, and I thought that it would be interesting to learn more about how he got started and what motivates him to create these unifying events. Read my interview with Dendennis below to hear all his responses! 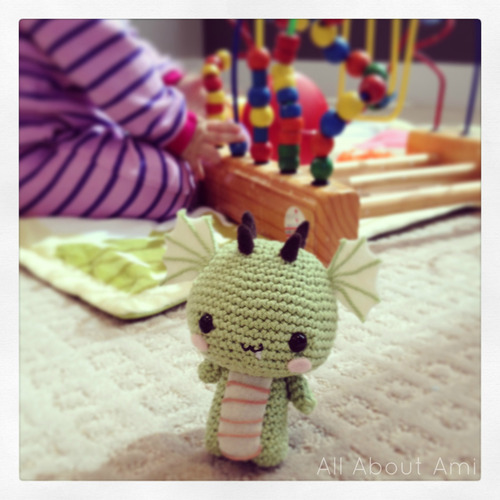 1) How did you first discover crocheting and amigurumi? My mother has been crocheting and knitting since I was a little boy. 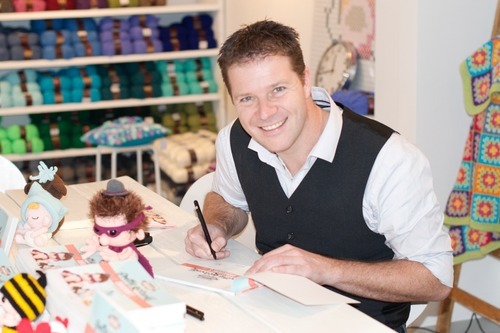 I still remember the little dolls she crocheted for my brother and I. I learned the basics at primary school, but never wanted to do that, because I thought it was for girls … haha silly me! A couple of years ago a good friend of mine showed me a book with this phenomena called Amigurumi. I had never heard of it, but when I saw that book I really wanted to have a crocheted doll. And when my girlfriend went on a backpack trip to India in 2012 she said, “Why don’t you crochet a tooth for my sister?”. She was pregnant then and is a dentist. That was a great idea! I searched online for basic amigurumi tutorials and discovered the basics- within a few weeks I figured out how to read patterns and how to crochet. A week Iater I discovered your fabulous site with the Luigi and Link picture and I remember that moment really well, because that was the moment that I decided to make amigurumi for myself. 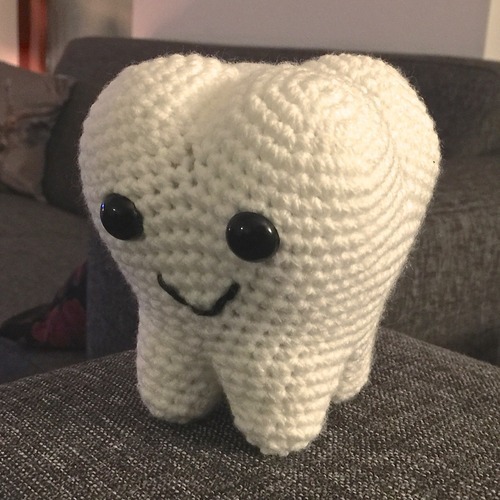 And with the help of my mother I designed my very first own amigurumi Molar. 2) How would you describe your amigurumi style? Oe…this is a difficult question, because I can crochet and design everything I want. Basic cute animals or complex and detailed characters. But I do try to search for something unique with a little humor in it. And I sometimes try and design Amigurumi that’s more attractive for boys. 3) Do you have a favourite creation that you’ve designed? Ooohh… Another difficult question. I really like all my own designed patterns. I love my very first Molar design. But if I really had to choose, I would choose my mini me: Dendennis. It’s so much fun to create a mini version of yourself. My mini version gets to go on fantasy trips and do amazing things, like being a superhero. 4) Do you craft full-time/as a living? I wish I could craft all day long. But unfortunately I run a graphic design agency, with 3 employees. I love my daytime job, where we design and create beautiful designs for a wide range of clients. And now I can say to people that I have an alter ego like Dr. Jekyll and Mr. Hyde. During the day I am a boss and by night I turn into an amigurumist. Haha! 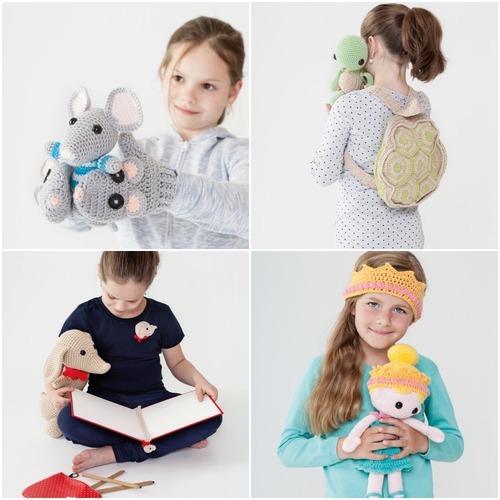 5) What are people’s reactions when they find out that you can crochet and that you design your own stuffed animals? I still notice this almost everyday. And everyone’s reaction at first is laughter. Most people can’t believe that I crochet, and yes still some people even say that that’s something that old ladies do. But I always carry some yarn and a crochet hook with me, and when I show them what I’m working on and what I’ve designed in the past they are surprised. After that I tell them that I’m an author of amigurumi books and that I sell lots of books across the Netherlands and Germany. And that there’s a huge online international community and I speak to people all over the world. Then most of the people are just quiet and amazed. I just love to talk to people about this amazing hobby! 6) How does it feel to be excelling in such a non-traditional hobby/area of interest for men? 7) You have done so much in bringing the amigurumi community together with events such as #BYAF and “amiselfie”! How did these ideas come about and why did you start them? Most people crochet amigurumi for friends or family. Or just to sell them. But amigurumi are so much fun to have around you. 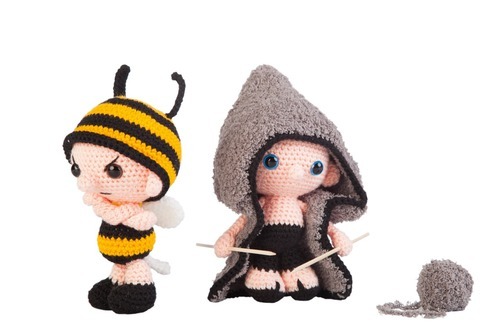 I love the idea that Amigurumi live their own lives. And I want to motivate people to do the same. That’s why I first came up with #BYATWF so that people could bring their amigurumi to work with them on the first Friday of the month. And give them a job to do. Of course I’ve started doing this myself and it was lots of fun especially on a Friday, when you are looking forward to the weekend but still need to work one more day. This makes the last day of the week much more fun. It was so much fun to see people all over the world participating. And I’ve got a lot of positive responses. 8) Tell us about the new #BYAF that you will be launching! When I started #BYATWF some people wanted to participate but didn’t have a job or were not free on a Friday. I kept on explaining that taking care of the children or doing groceries is also a job. And it took a lot of my time to keep promoting and motivating people online. My books took a lot of my free time. But I really wanted to keep on doing this. So I’ve changed the rules a bit and changed the name. 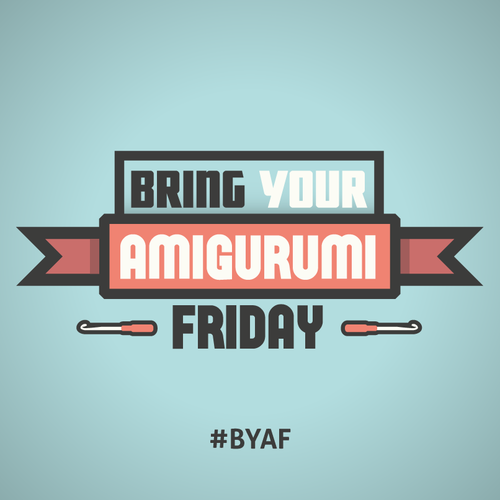 Now it will be just #BYAF Bring Your Amigurumi Friday. I’m working on a special site (click HERE) where people can upload one image and after 3 days I choose a winner. The one with the most funny or original picture wins a fun prize. This could be a pattern of mine. Or a signed copy of one of my dutch books. Or maybe other prizes from other companies. I am working on cool deals with some interesting partners. And the main goal stays the same. People should bring their amigurumi along and take a fun picture of it. 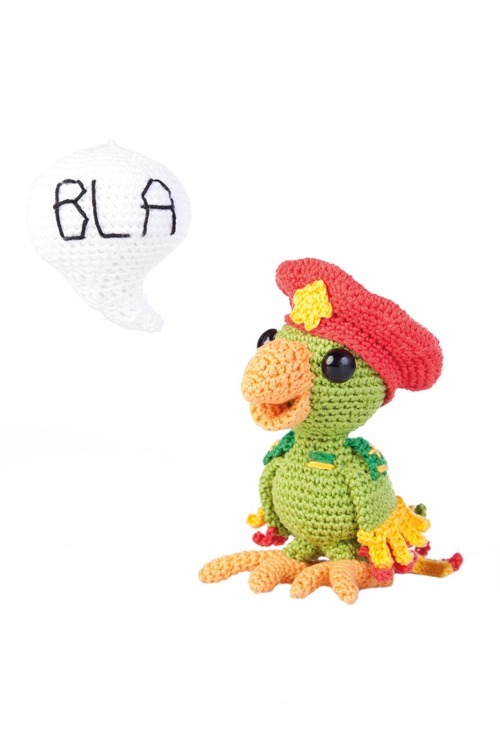 An amigurumi who reads the paper on the subway, who watches the kids go to swimming lessons, or why not fly an airplane! Just try to be as original as possible. Everyone can join and the first #BYAF starts this Friday, March 6 and after that each first Friday of the month (click HERE to participate)! 9) Tell us about your books and where we can find them! Any chance of them being translated into English? 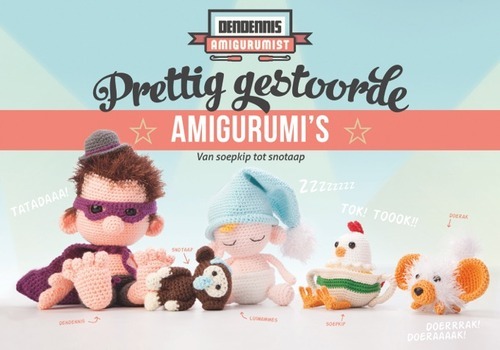 My first book called “Prettig gestoorde Amigurumi’s” (in English this would be: “Pretty weird Amigurumi”) is my very first dutch amigurumi book. It’s a little story about Dendennis and his weird fantasy where he meets a lot of weird characters. Most characters are based on typical old dutch sayings. You can find more about the characters here. After this book was published I was asked by A La Sasha to make a new book together with her. She wanted to make combinations of accessories and matching amigurumi. We’ve made this book called: “CombiGurumi” where we’ve combined Amigurumi and accessories. This is such an awesome book with really unique combinations! And it was a lot of fun working together. My second book is coming out in March: “Dendennis viert feest”. Dendennis is having a costumed birthday party and everybody is invited! There are really fun characters like a party animal, a gift donkey, and an old lady dressed as an old pie (also based on fun old Dutch sayings). I still need to think about cool English names for them. My publisher is talking to some international publishers but unfortunately still without success. 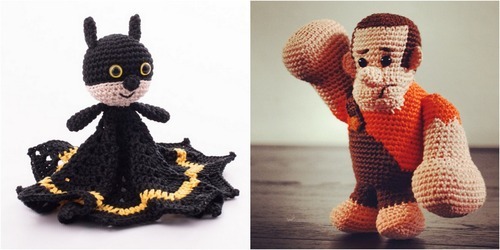 I really hope that my books will be translated to English soon, so everybody can enjoy these fun amigurumi. I am working on the translations, so in the next couple of months some patterns will be available as single patterns. And one of my patterns was published in Happily Hooked GrumBee! Thank you so much for answering all my questions with so much thought and detail, Dennis! I hope you enjoyed getting to know Dennis and that all male crafters and crochet artists are encouraged after hearing Dennis’ story and seeing his success! Dennis was kind enough to send me some of his books, and they are beautifully laid out with plenty of bright and clear pictures. Dennis also provides many free patterns on his website such as the Batman Snuggle and wonderful Wreck-it-Ralph below, so do check them out! You can keep up to date with Dennis on his site HERE, and also follow him through his Facebook, Tumblr, and Instagram! 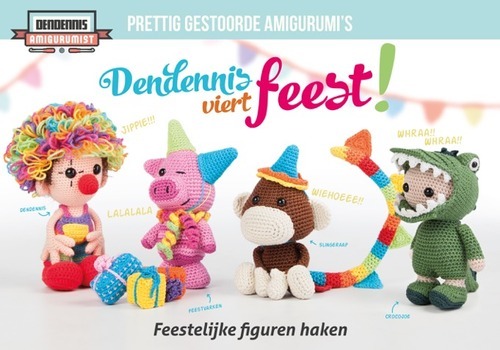 Don’t forget that this Friday is the first #BYAF, so I highly encourage all of you to participate 🙂 Snap a photo of whatever you’re doing with your amigurumi and upload it to the special site that Dennis has created HERE– you have the opportunity to win his newest Dutch book as a prize for this month!